Last year VR technology reached a lot of homes, and that brought endless possibilities to its implication to VR broadcasting. Will this be the real future of television? Or just follow its predecessor “the 3D TV” to the grave. Let’s see if virtual reality television Is the New TV. 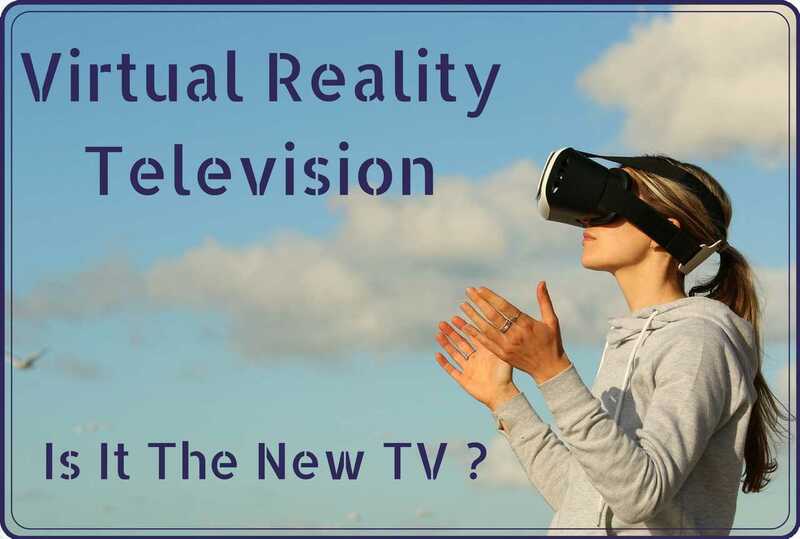 Virtual Reality Television – Is It The New TV? Virtual Reality Tech is slowly making its way onto the consumer market; this could mean a big change for the television landscape. Nowadays in mainstream media you’re still looking at this universe through a window, a big beautiful high definition window. With a VR Headset, you step inside that universe and that takes the ball into another game. When it was first introduced, it was aiming for mainly gaming audience. For example: Resident Evil 7 for a horrifying jump scares, as well as Star Trek: Bride Crew. But Virtual Reality Television is closer than you think. Where 360 VR Players grants bonus stories for viewers, Virtual Reality TV could reshape or perhaps reinvent the experience. The year of 2016 witnessed a massive release of new generation VR headsets. From Sony to Virtual Reality Goggle from Google, this led to a whole new emerging small but expensive businesses. Pursuing the hype, and providing quite different but the same equipment in the end. You can find here a ranking from best to worst affordable VR Headsets. What could be the outcome of this? It is a television fantasy; VR was a major topic for varied producers, filmmakers and broadcasters since the dawn of cinematography. Many think that this would be the adequate time to enhance it once and for all, performing a new form of drama, documentary and storytelling. Maybe this could even mean a beginning of a new golden age for television. Google Photos now has 500 million monthly users. Snapchat has 166 million daily active users, an increase of 36% year-over-year. Instagram announces it has 700 million active users, four months after reaching 600 million. Facebook Messenger has 1.2 billion monthly active users. Twitter’s monthly active users grew to 319 million, up from 317 million in the prior quarter. At one point in the past, watching your favorite show or movie on your phone was a far big dream. Who believed that one day we would watch an episode of Friends instantly, while you’re waiting at the dentist. The entertainment industries hit a bump on the road, but that doesn’t mean they cannot take our viewing sessions to the future as we speak. Brace yourselves, VR is coming. I’d very much like to know your opinion about VR TV, or simply Virtual Reality. Feel free to post a comment below. You can also check our 8 Weirdest Gadgets for Men.